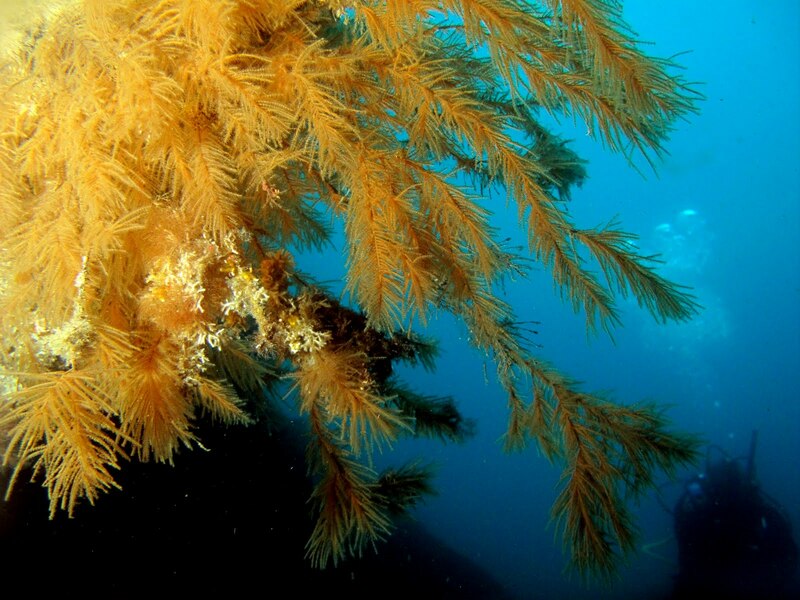 The Azores presents a set of excellent natural conditions for diving. 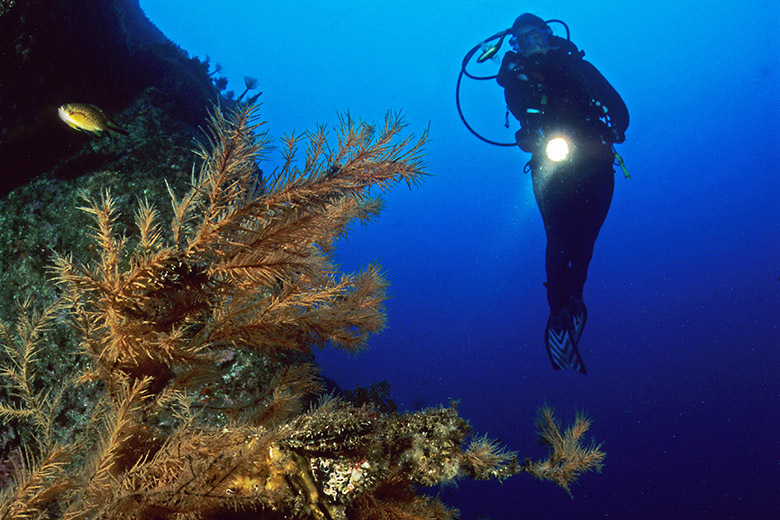 With so much variety, it becomes difficult to choose where to start, dozens of spots, each of which is suitable for different types of dives. In coastal and low-lying areas is magnificent caves and underwater arches between debris and remains of shipwrecks, which are home to lilies, groupers and groupers. 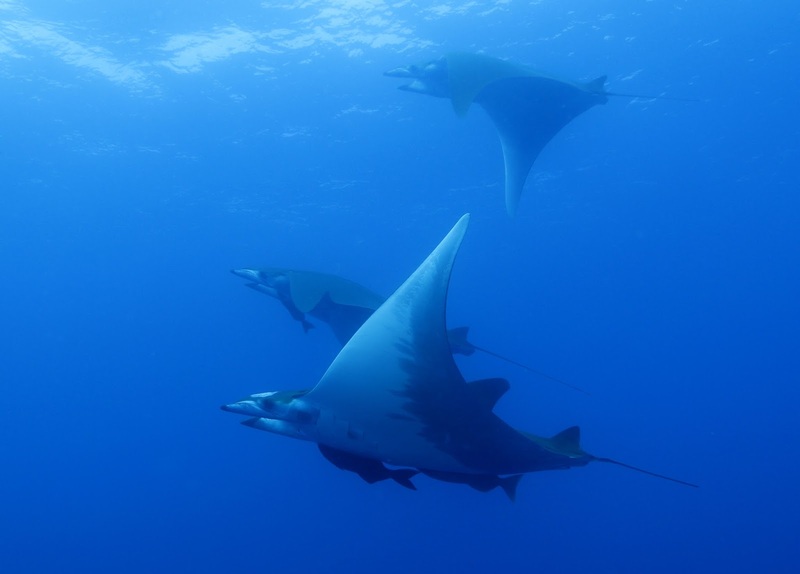 In deeper water, underwater fumaroles appear along with manta rays groups. For divers, the Azores are an underwater paradise, full of marine wonders and mysterious adventures that begin with the diving baptism. 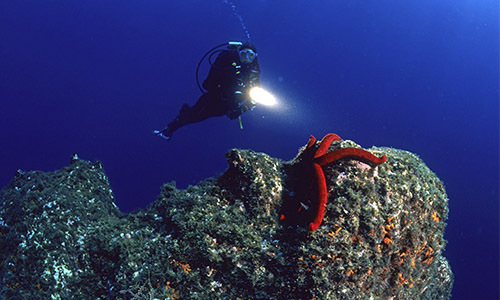 This island offers a wide variety of dive sites along the extensive coastline. But the highlight is the Archaeological Park Dori sinking a Liberty Ship World War II that remains on the ocean floor, appealing to their exploitation through diving. Surrounding the islet of Vila Franca, is a marine reserve, with protected area status, this site offers excellent conditions for holding dives. San Miguel is also renowned for its diving in coastal low, close to the coast, as Lourenços and Lower Sabrina, it is quite common to see up groups of manta rays and schools of large pelagics. This island is still considered as a starting point for local mythical offshore the Azores diving, the islanders of the Ants and Dollabarat Bank, located about 40 miles of this, the sites are great captivating for its clear waters and encounters with shoals of pelagic fish, manta rays and sharks. Recently discovered by divers, is now sought worldwide for the abundance of marine species that are found in their waters and several protected areas, developed specifically for diving. One reason for the growing demand of this island is the Low Ambrose, being 3 miles from the coast, this low is full of life similar to that typically found in distant seamounts, which highlights groups of dozens manta rays and schools of large pelagics. Another factor is during the summer months, the island regularly hosts the world’s largest fish, the whale shark, which can be seen on the high seas and are often surrounded by thousands of tunas. 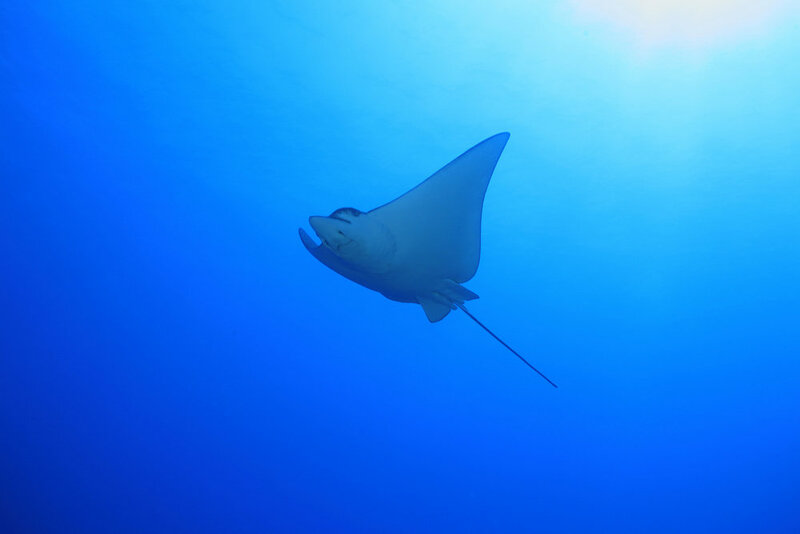 As São Miguel, Santa Maria is also a starting point for offshore spots for great dives, Islanders of Ants and Dollabarat Bank, being only about 20 miles from the southeastern tip of Santa Maria, these sites are recognized by the waters with best visibilities and the Azores are the large schools of pelagic fish, manta rays and manta rays, sharks and many other species. This island is for divers one of the most interesting due to exposure of marine life and rock formations that make the dives at a time of historic and cultural interest. Angra do Heroísmo Bay is the Underwater Archaeological Park consists of several archaeological sites, which make up an underwater museum with a strategic importance of the city over the centuries. No margin of doubt that the Cemetery of Anchors is one of the main attractions of this park, where are visible more than 40 anchors of the twentieth century XVI and the steamship Lidador 78 meters long, which sank here in the year 1878 . However, this island has other fascinating places for diving, namely a set of islets that rise to the surface to about 5 miles south of the Third which are sought for its rich marine life, such as Fradinhos, in great abundance are species like groupers, dog fish and large schools of pelagic fish. The cave of the five streams allows you to explore the various chambers interconnected, making it almost like a maze. 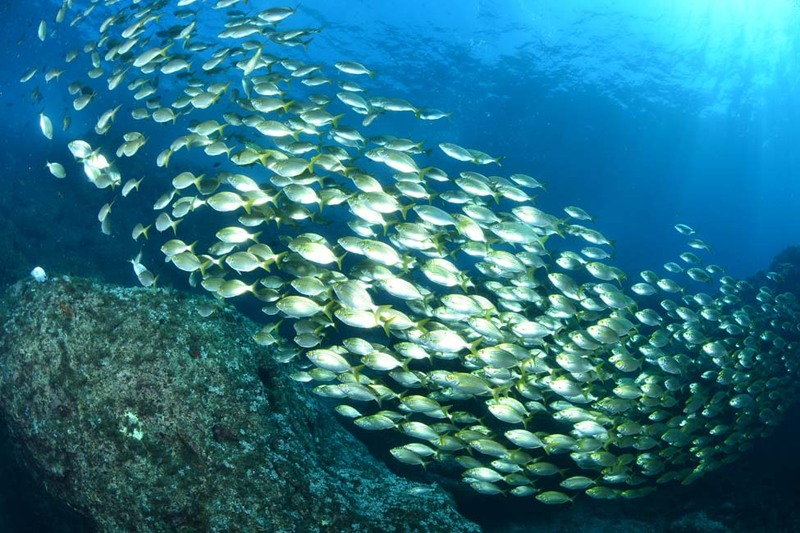 The third is near one of the best places for diving in the Azores, the seamount Dom João de Castro Bank, standing on top of a volcanic cone, where the volcanic activity persists and is meeting with large shoals of pelagic fish. This island offers a variety of spots for diving, despite its small size, this allows for dives throughout its coastal extension. 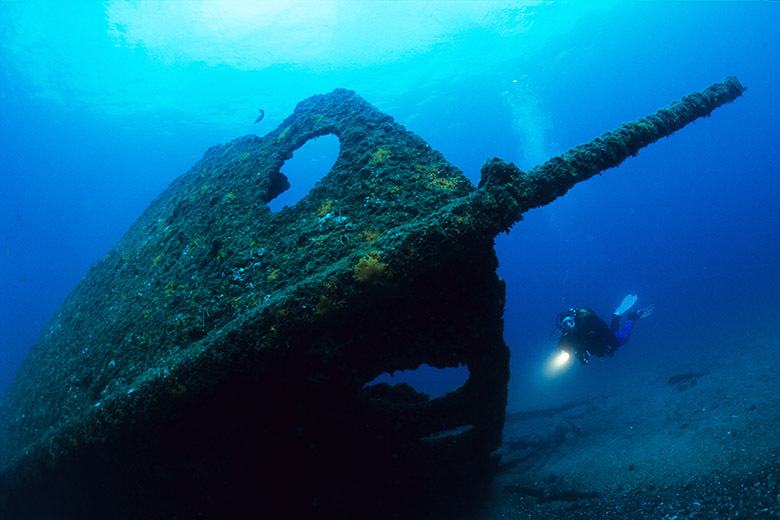 One of the most popular places for this activity is the wreck Terceirense, resting on the ocean floor, the entrance to the port of Praia, about 21 meters deep in this. Another site is the cave of Carapacho in Ilheus Carapacho and also highly coveted are the casualties of this island, such as the Low out of Smith and Low Pesqueiro Long, which feature a lot of schools of pelagic fish, groupers and colorful trellised coral-black. This large island has a coastline full of places to perform diving, but the best the best dives are made at the ends of the island, places where ocean currents create excellent conditions for the concentration of pelagic fish, especially in the Top islet zones and Lower the Rosais, since all along the south coast are caves, arches and bays that provide diving excellence. The best known and demand activities is diving with sharks. 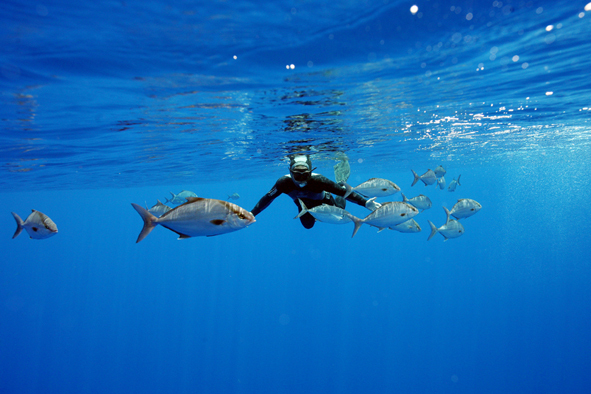 The Azores is one of the few places you can swim with the blue shark. Despite being held in the Azores islands, a favorite location is the Condor seamount, located about 10 miles from the island of Faial, being accessible from Faial and Pico Islands. 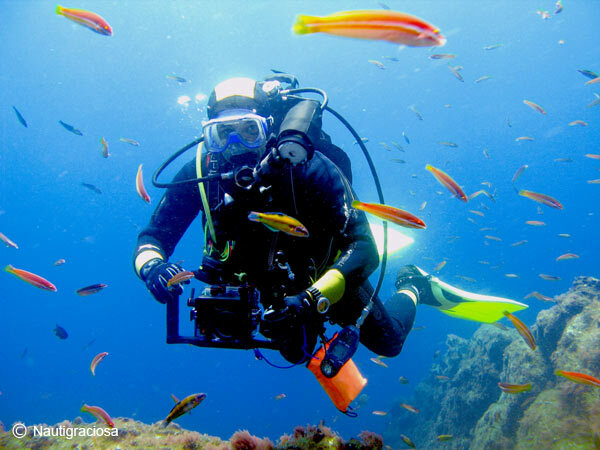 The proximity to the Pico, Faial allows the realization of diversified dives, between dives along the coast, which highlights the Monte da Guia, you can also perform dives in the Pico-Faial channel. Faial is one of the main starting points for the Princess Alice Bank, located about 45 nautical miles and is considered one of the best diving in the Azores, where the meeting with large schools of pelagic fish, manta rays, and even sharks they are quite common. Another unique type of diving is done in the fumaroles of Espalamaca, it can be observed the active volcanic activity with hot water springs and curtains of small bubbles emerging from the seabed. 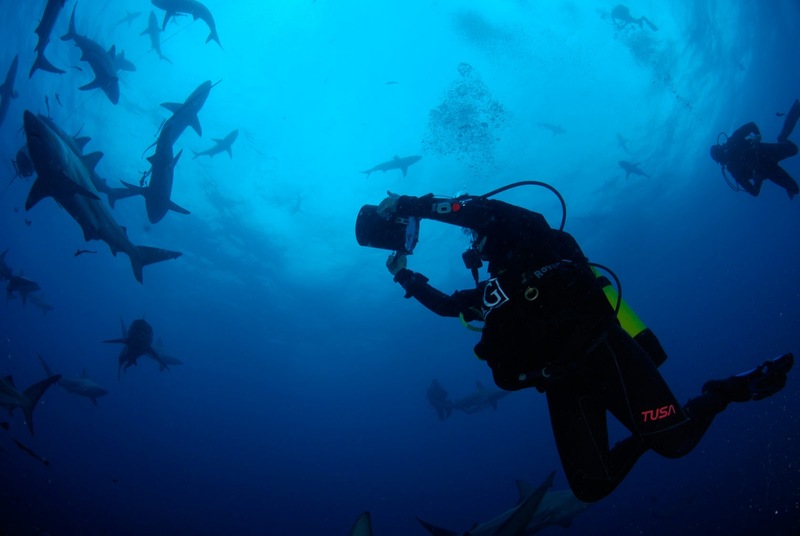 As in Faial, Pico is known to be an area where there is the possibility of diving with sharks, especially in the Condor seamount, located about 10 miles from the island of Faial and accessible from the islands of Pico and Faial . 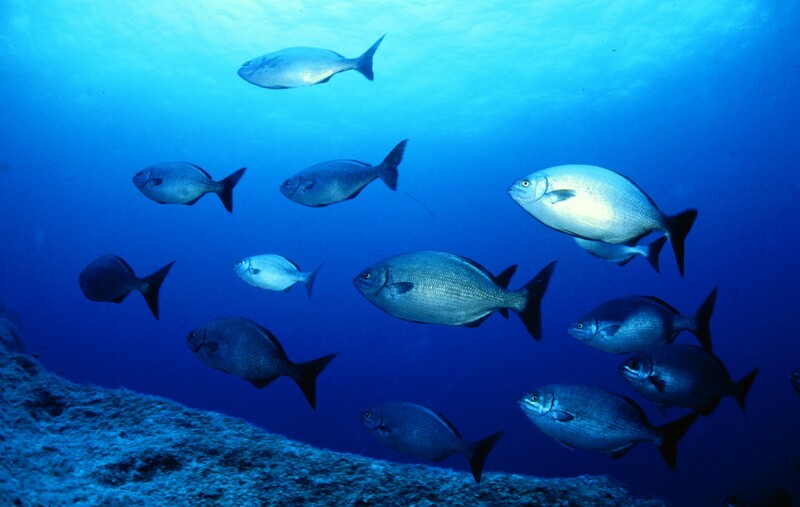 And also because of its proximity to Faial you can perform diverse nature of dives in the Pico-Faial channel. Pico is also one of the main starting points for the Princess Alice Bank, located about 45 nautical miles. The Pico has both a wealth and marine biodiversity as magnificent rock formations around them, even though the ex-libris of dives with geological interest the double arches located in Pocinho arches. 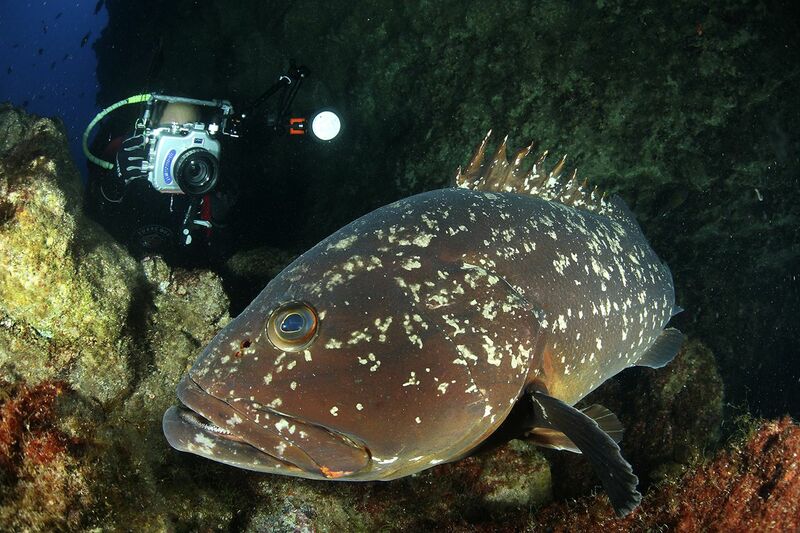 The isolation allows marine life is diverse and plentiful, especially the shoals of barracuda, lilies and Enxaréus, you may see the fish-dog, groupers and groupers along the bottom and many other typical Azorean species. The best place for diving and one for the practice of activity is undoubtedly the Caneiro dos Meros. 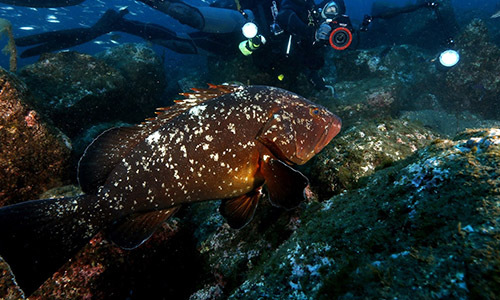 The Raven is an example in the history of Nature Reserves in the Azores, as it was the first and only island to be a voluntary reserve, which is currently possible to dive a few feet away from several large groupers. 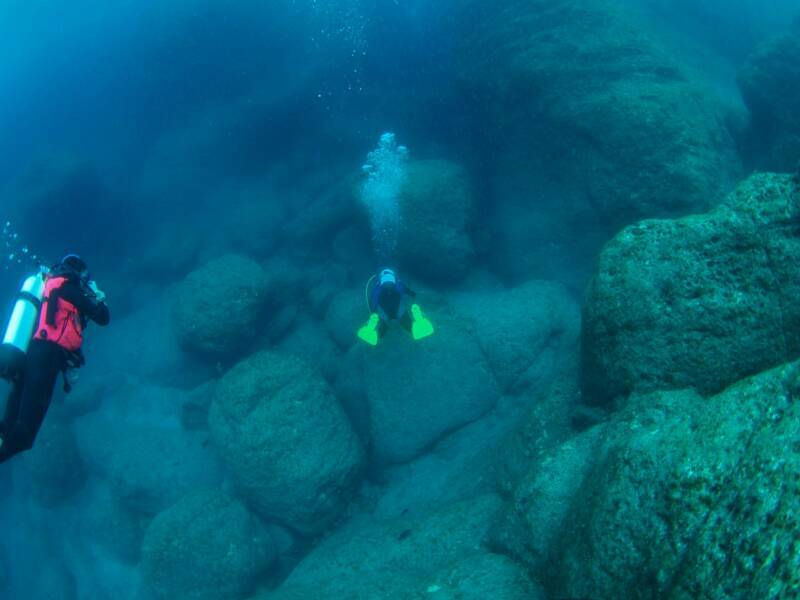 There are still other places to perform diving, also with high quality and marine presence in particular Moldinho or “Atlas Stone,” the Trough just outside the port of Vila do Corvo, and the Lower Hole. The crystal and the diversity of marine life waters, together with its isolation, is the island of Flores one of the purest places for diving, along its jagged coastline with its sheltered bays, extensive caves, crevices and caves large, such as the Cathedral, it can also be explored by boat. The most attractive place in terms of formations and being well explored is the Cave of the Phallus, which allows an unforgettable dive in its two outputs provide unique light cuts and divers can emerge under a cascade of fresh water, such It takes place in the Cathedral. 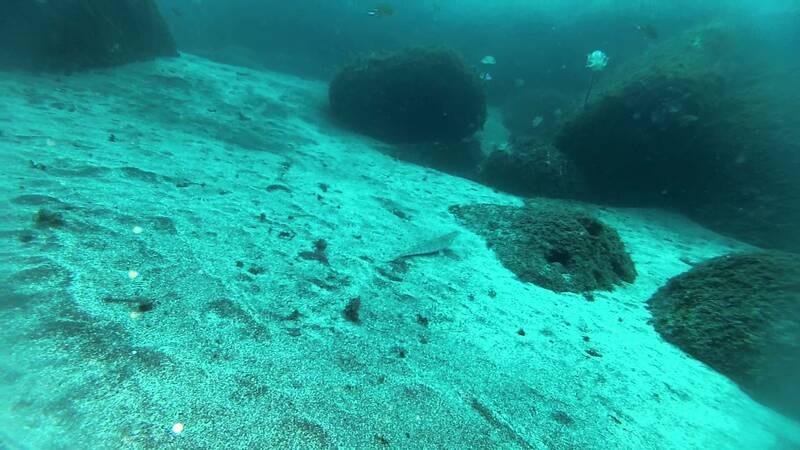 In several coastal low, namely the Lower Friend and Low Hill, qesta offer encounters with large schools of pelagic fish such as barracuda, lilies and Enxaréus, passing quietly and is even indifferent to the presence of divers.